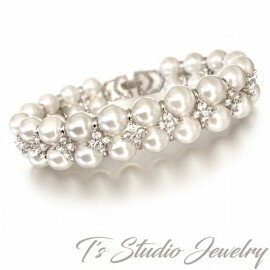 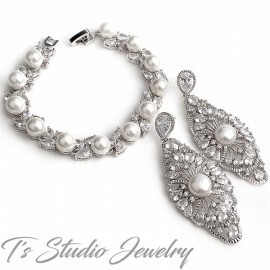 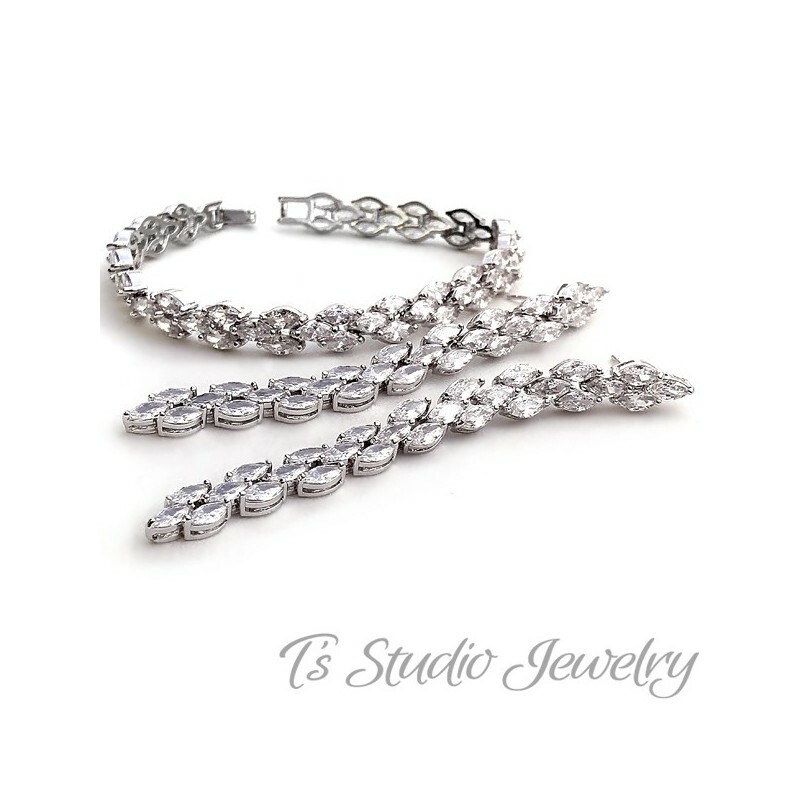 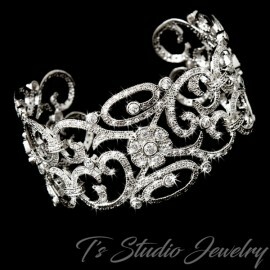 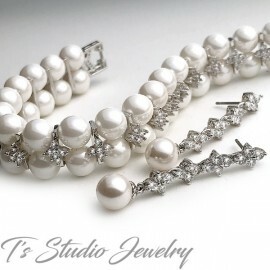 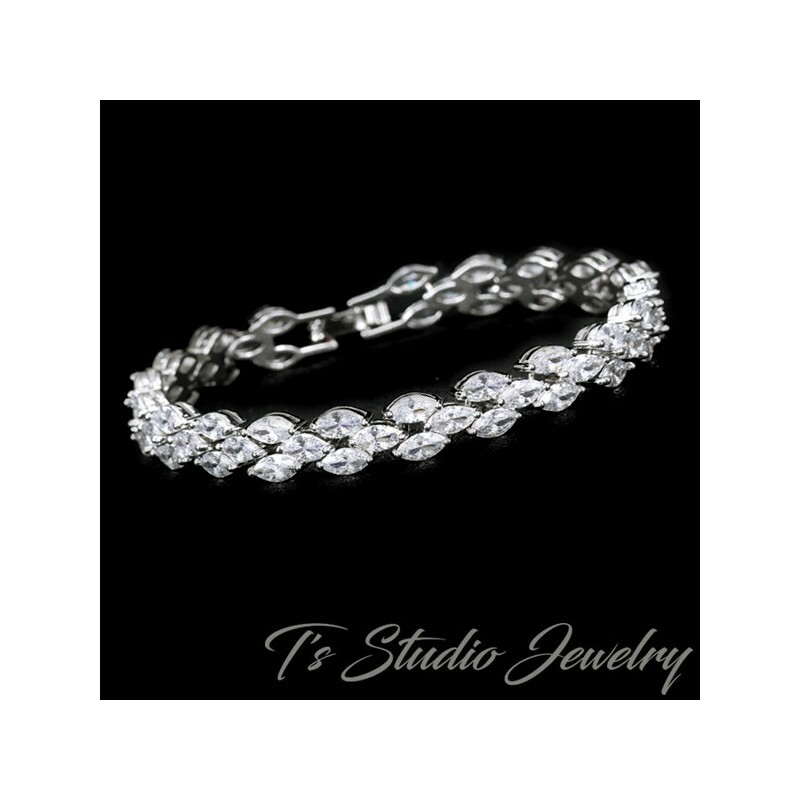 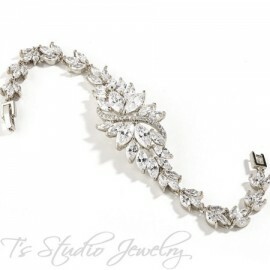 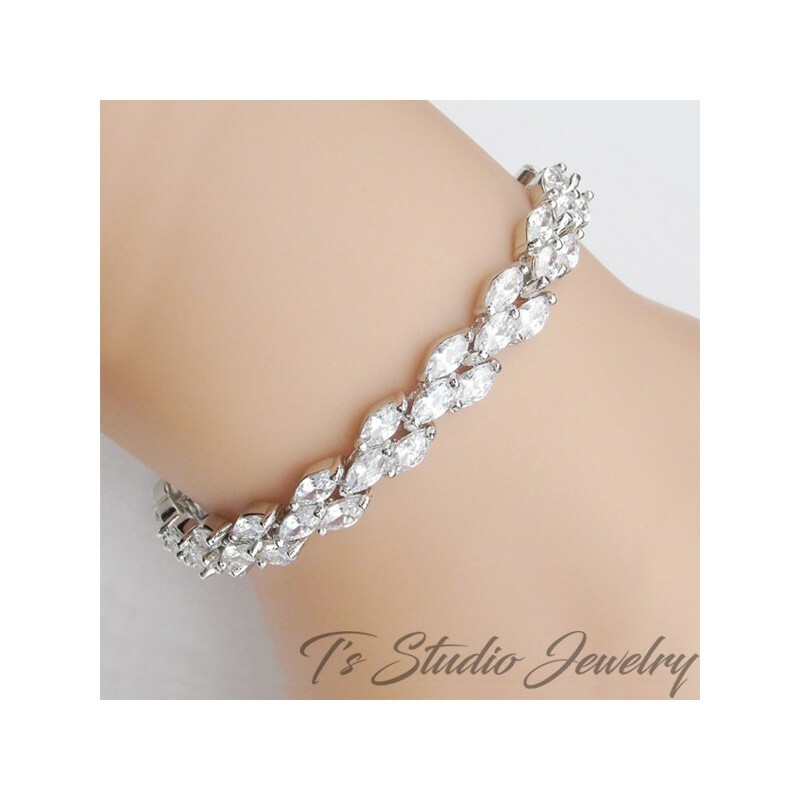 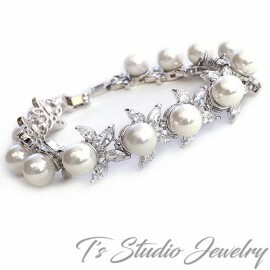 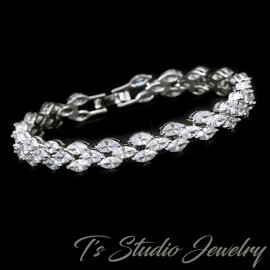 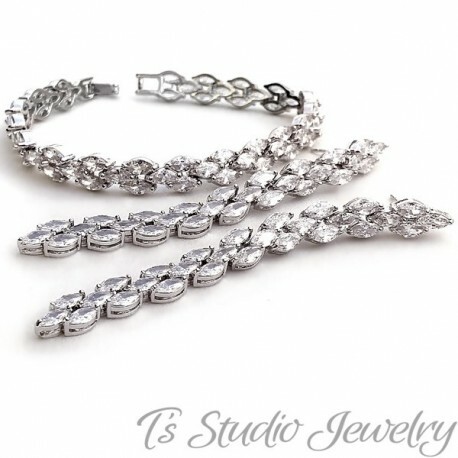 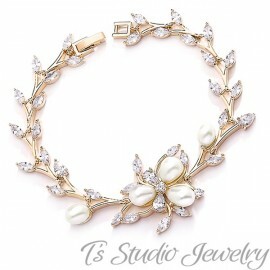 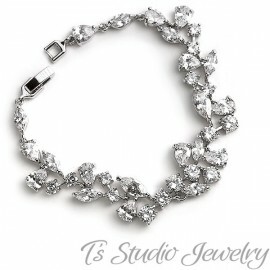 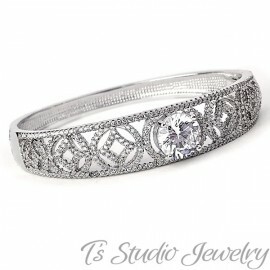 Very elegant and stylish, this CZ cubic zirconia bracelet is a timeless piece of jewelry you are sure to wear on many occasions. 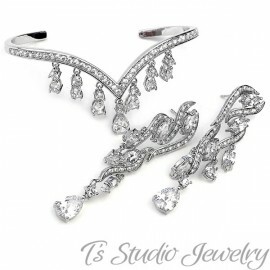 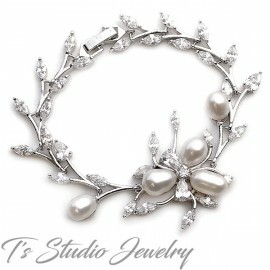 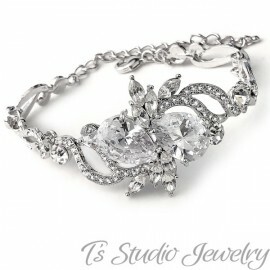 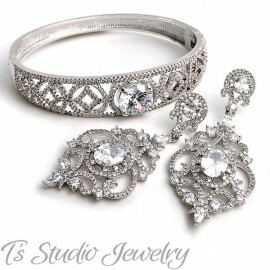 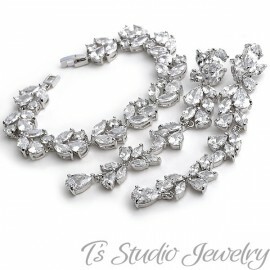 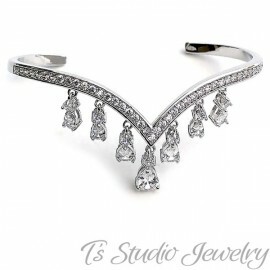 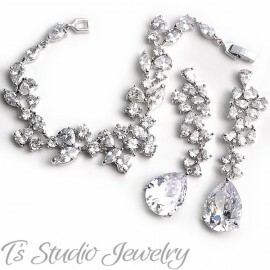 Clear marquise shaped CZ crystals set in a beautiful silver plating. 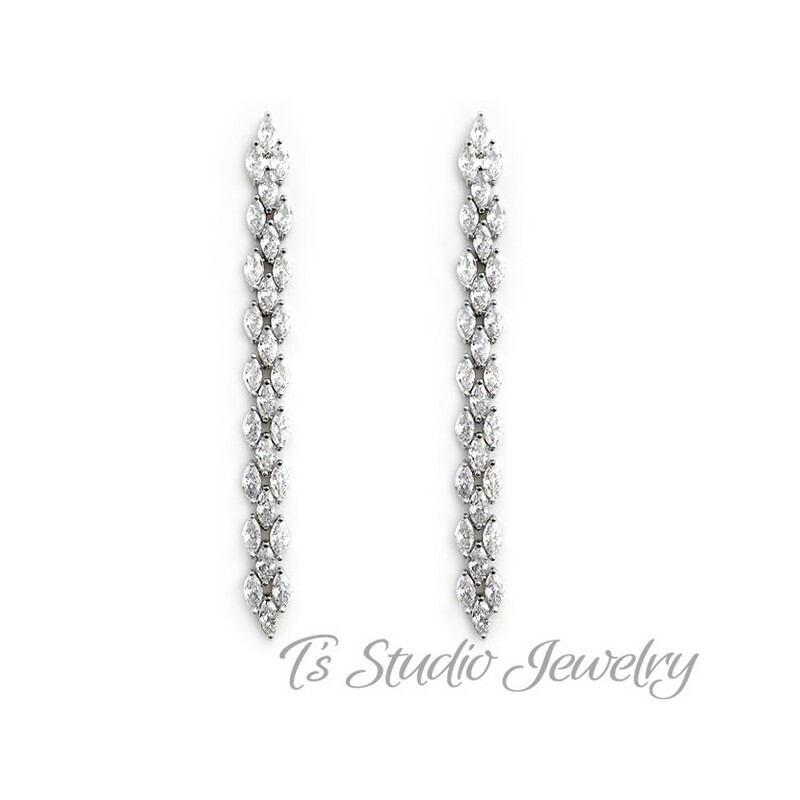 Matching earrings measure 3 1/4".